Showing us what it means to live and what it means to live well with insight and encouragement! There is a difference between just livin’ and liven’ well! “The Swan” wants to Live Well and by doing so, see the big picture in life. 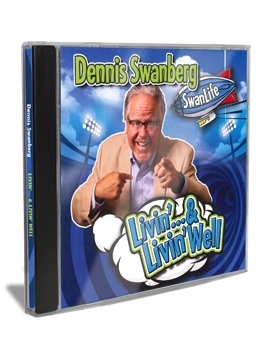 Laughter is truly the best medicine, so listen up as Dr. Swanberg gives you a heaping dose of laughter, insight, and encouragement. Swan never kissed a Seminary woman! Where's Floyd Leon and Pauline Bernadeen?